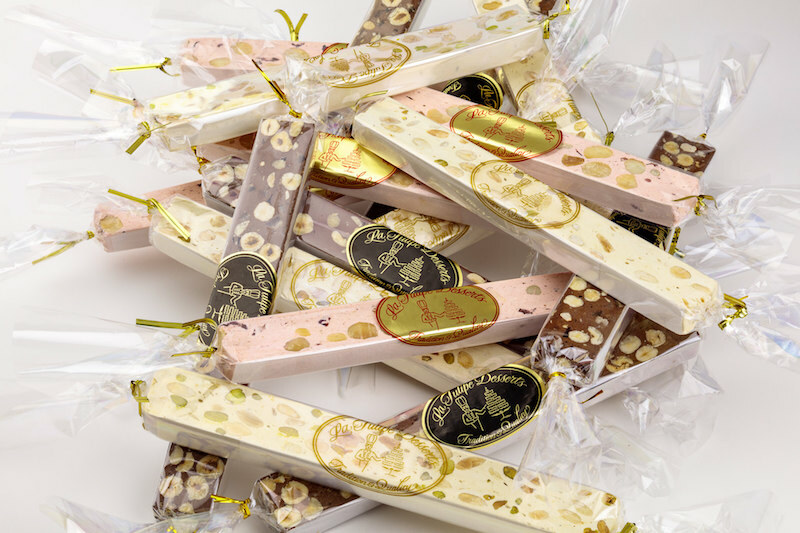 Our nougat comes in three different flavors. One is lavender honey with Marcona Almonds and Sicilian Pistachios. Then we have chocolate with candied orange peel and roasted Italian hazelnuts. Lastly, a rose infused nougat with sour cherries and macadamia nuts.